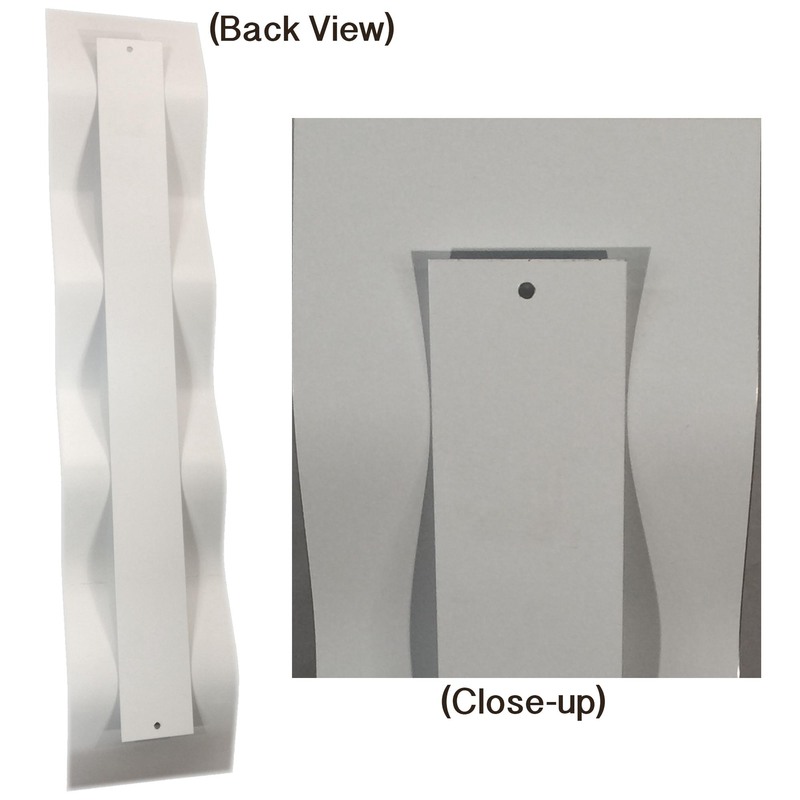 Ocean Mist Wave is a contemporary style wall sculpture, formed in soothing waves and crafted from high-grade, rust-proof aluminum for a lightweight body and indoor/outdoor versatility. 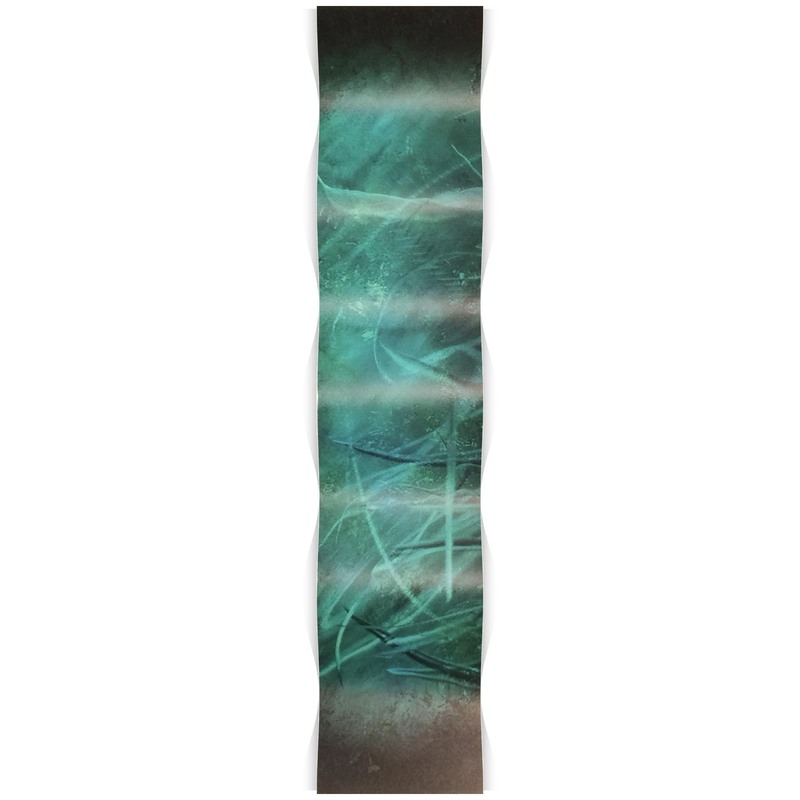 This flowing accent piece ripples like a ribbon in motion, and features the brilliant work of artist NAY applied directly to the metallic surface in crisp hues of aquatic blue, turquoise, teal and black with an artistic matte finish. It is designed to be a unique, dimensional way of decorating with an eclectic focus. 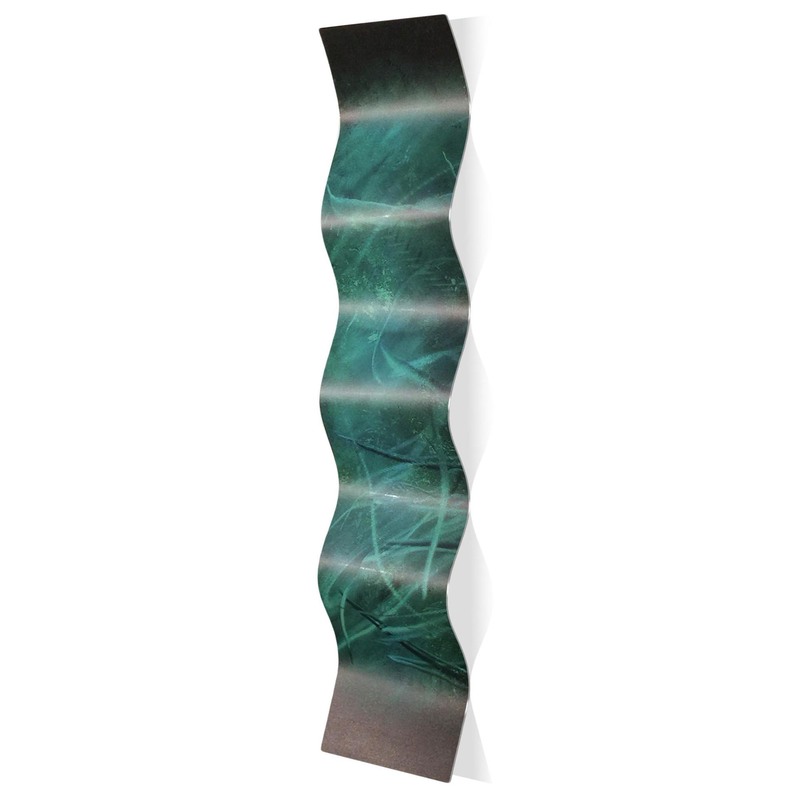 The industrial materials and durable finishes make this wavy metal art a popular choice for everything from upscale hotels to harmonious day spas to modern corporate offices. 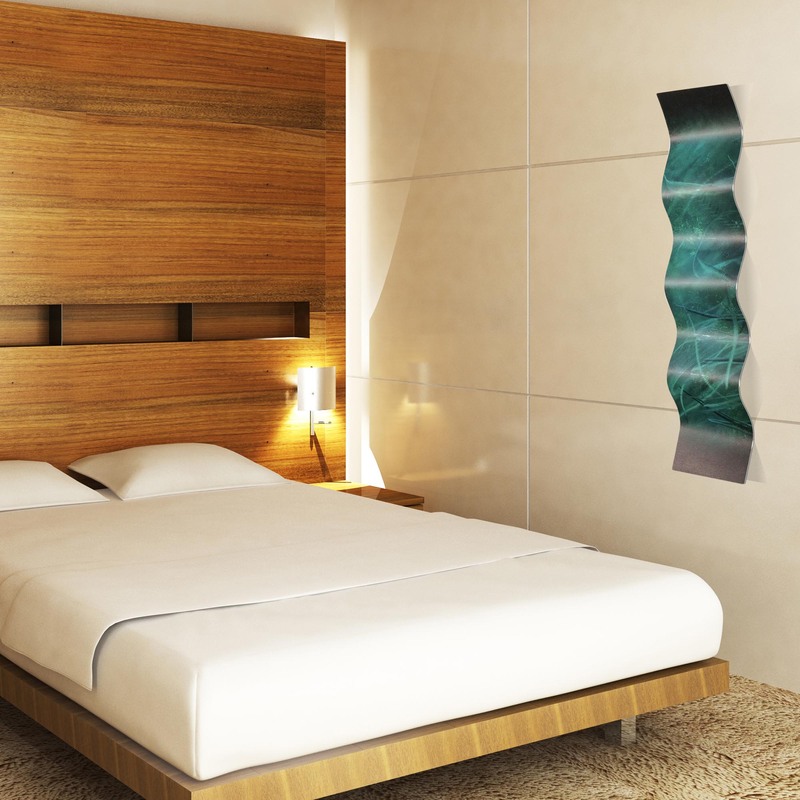 This aquatic wall sculpture and curved abstract artwork is a creative addition to our Eclectic Waves Decor collection.